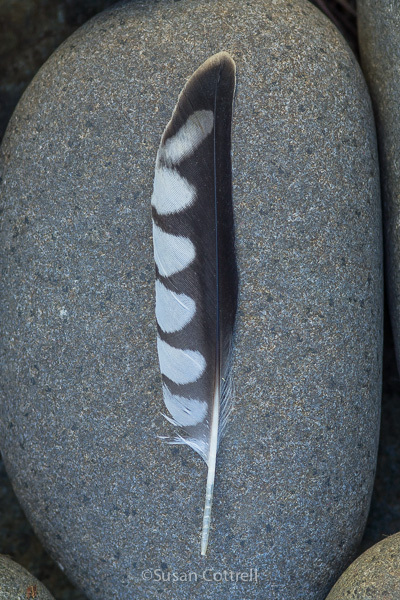 Two of my favorite things – a feather and a stone. This is a molted American Kestrel primary feather. 08 Mar	This entry was published on March 8, 2014 at 20:31. It’s filed under Birds, Nature, Patterns and tagged American Kestrel, AMKE, Falco sparverius, falcon, feather, natural history, patterns, raptor. Bookmark the permalink. Follow any comments here with the RSS feed for this post.